Learning the letters of the alphabet is big fun with this super-sized display that features uppercase and lowercase letters. 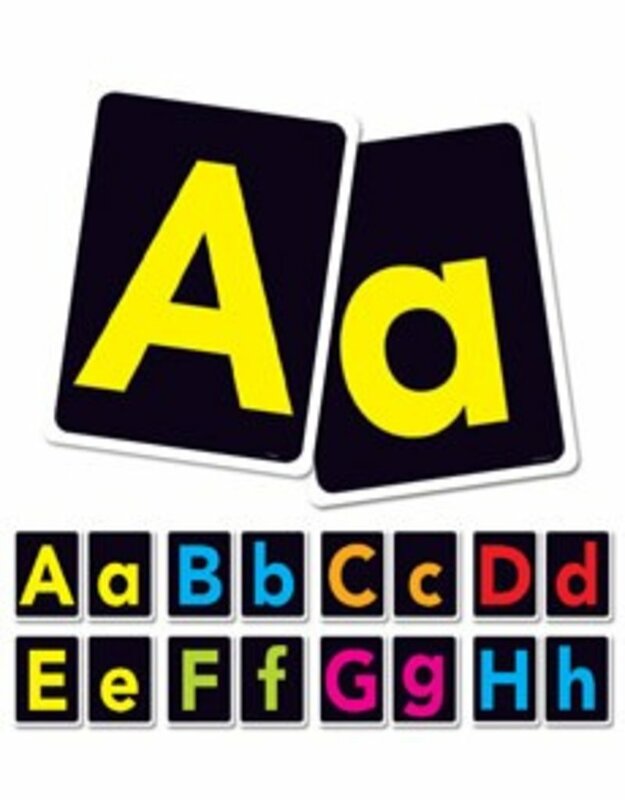 The big, bold letters are perfect for bulletin boards, oversized flash-cards, or as part of learning centers. Vowels are color-coded to aid identification. Includes 26 uppercase letters (9" x 12"), 26 lowercase letters (9" x 12"), and activity guide.